Some items have been exempted from the ban to minimise discomfort to businesses till the time alternatives have a strong presence in the market. The state-wide ban by Maharashtra government on plastic products has come into effect from Saturday. The prohibition extends to a wide variety of plastic items, including plastic carry bags, and even thermocol. The move is aimed at cutting down on pollution caused by discarded plastic items. The state capital, Mumbai, faces flood like situation every monsoon due to drainage lines clogged with plastic and thermocol. A ban before the onset of rainy season is likely to help with this too. Earlier in March, the Maharashtra government had imposed a ban on manufacturing, use, sale, distribution and storage of plastic materials such as one-time-use bags, spoons, plates, PET and PETE bottles and thermocol items. The government had allowed a breathing period of three months to clear the stocks. With the deadline expiring today, all plastic and thermocol items will be banned in the state. Chief Minister Devendra Fadnavis has urged the stakeholders to support the ban and has promised that they will not face any discomfort due to the ban. "The ban will succeed only with the participation of all the stake-holders and that the government has made a committee to ensure trouble-shooting and smooth adaptation. We do not want to promote police raj and we are also trying to address the concerns of traders and small vendors," he said. The exemptions have been made to minimise discomfort to businesses till the time alternatives have a strong presence in the market. 5. 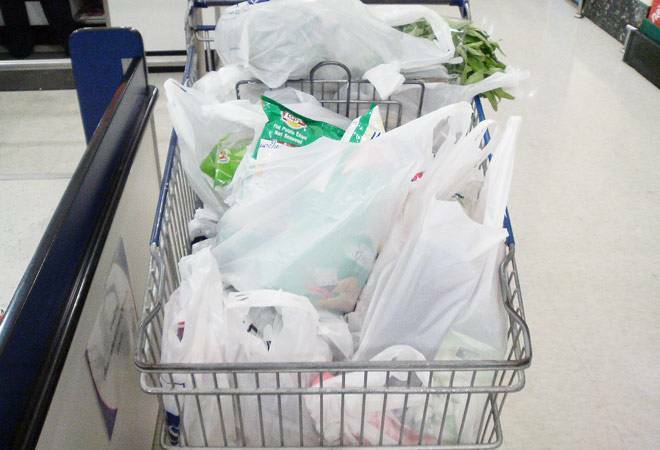 Plastic bags used for packaged food items like chips, biscuits, etc. The first time offenders will have to pay a fine of Rs 5,000. Violating the ban for a second time will incur a penalty to the tune of Rs 10,000 and Rs 25,000 along with a jail term of three months for third time offence. Bring plastic items from other states to Maharashtra will result in three months imprisonment.